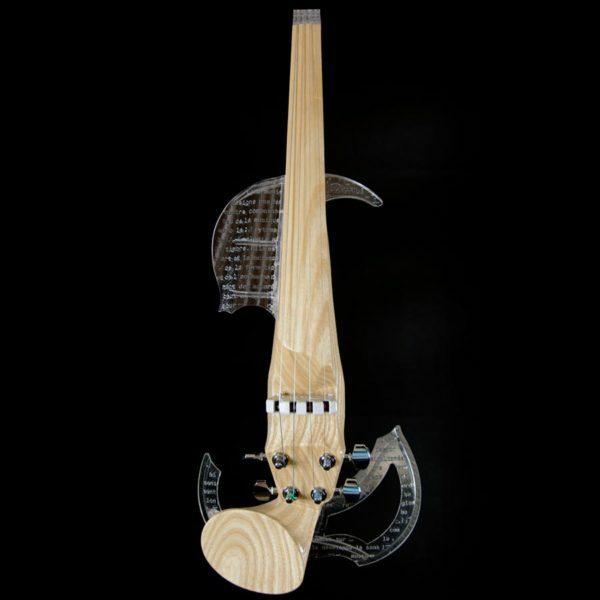 The Equinox Electric Violin is inspired of the 3Dvarius design. With their solid ash bodies, the Equinox Electric Violins are built as highly performing instrument. 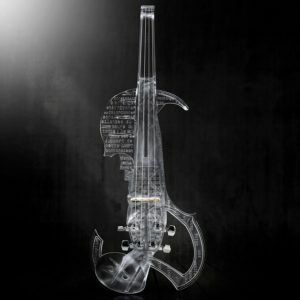 Its elegance will please soloists as well as electric quatuors. Its sound qualities can be appreciated in small venues as well as great concert halls. Made in France with state of the art technology, the Equinox body is the perfect harmony of many materials. Inspired of the 3Dvarius design, its body was redesigned for a singular wood adaptation. The EQUINOX body is a one single piece of wood. 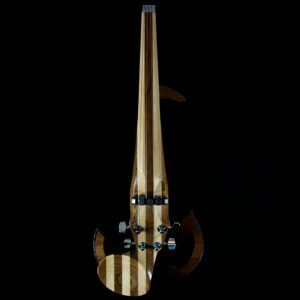 It is composed of one wood: ash. It is a hard and light colored wood. 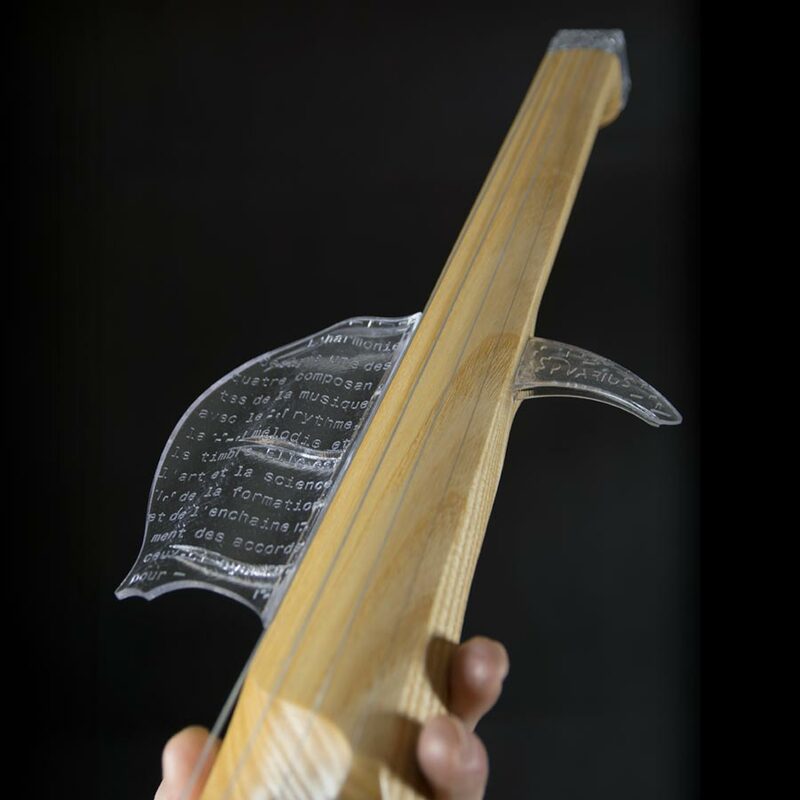 The head, the left hand-support, the shoulder rest support, and its half sounding board are made by the 3D-printing technology. 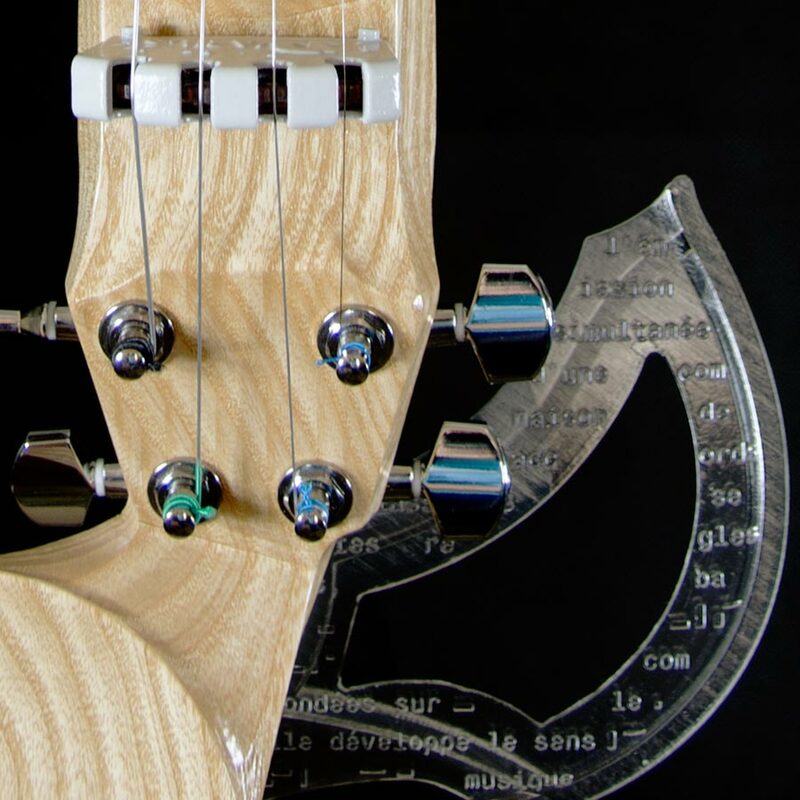 The shafts of the shoulder rest support and tuning pegs are in brushed aluminum. 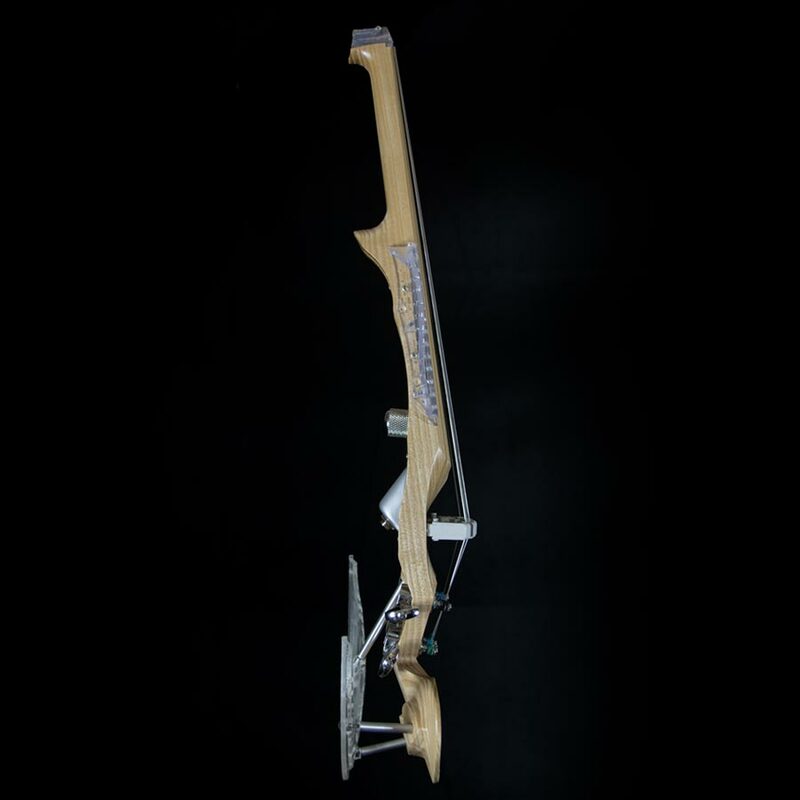 Its central wood body is created in one single piece. This particularity ensures a perfect accuracy of the audio spectrum. It allows for smooth, optimal sound-wave flow throughout the instrument. The Equinox is equipped by the « X Pickup » created by 3Dvarius. 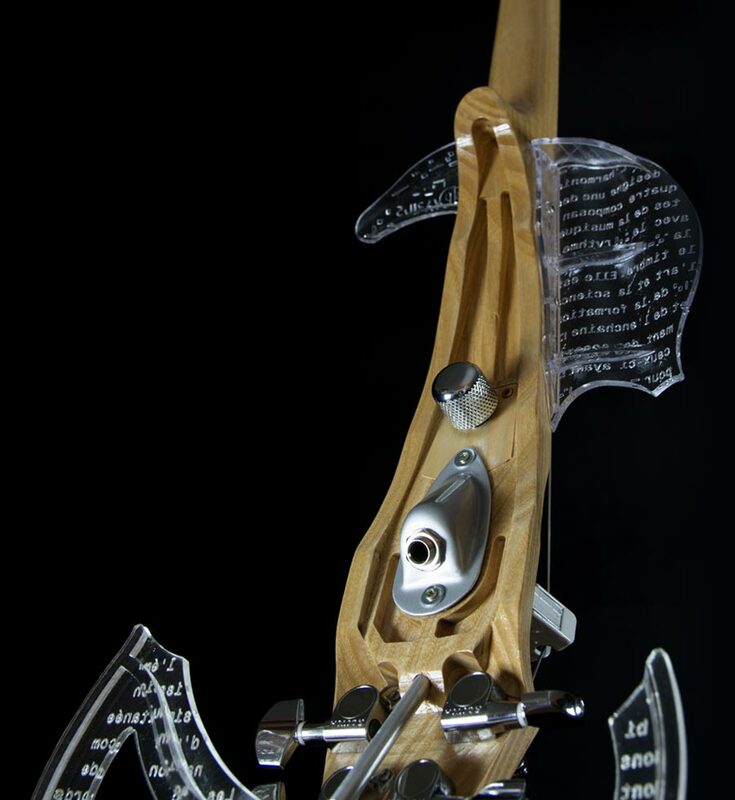 It delivers a powerful sound, free of parasites and preventing feedback. This sound precision simplifies the utilization and the setup of effects like the wah-wah and the distorsion, in order to liberate the musician creativity. Bridge design and sound were improved at the end of 2018. It uses now a shield to protect piezo system. 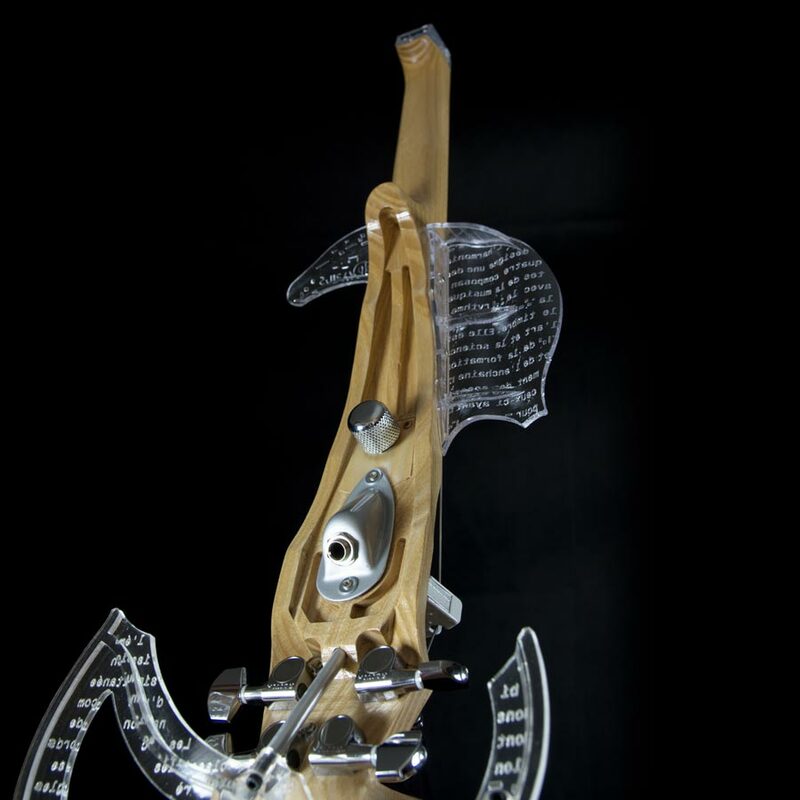 The half sounding board of Equinox are made by the 3D-printing technology. It is possible to customize it and so, engrave your own text. 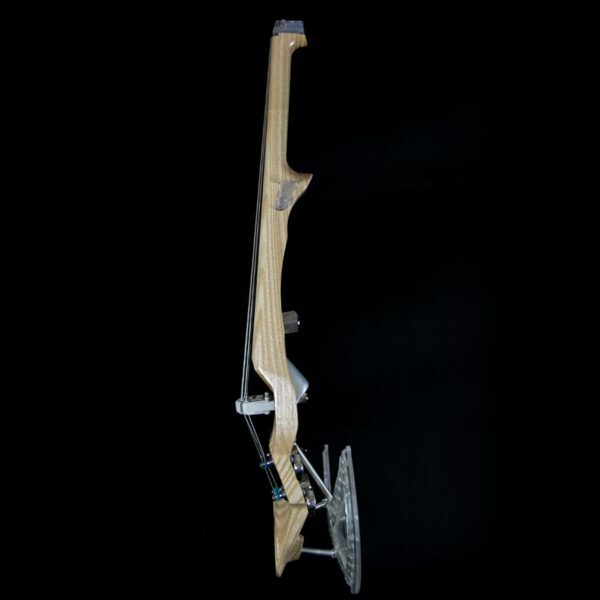 As example, the opposite photography represents the personalized half sounding board of Daniela Padrón’s Equinox. 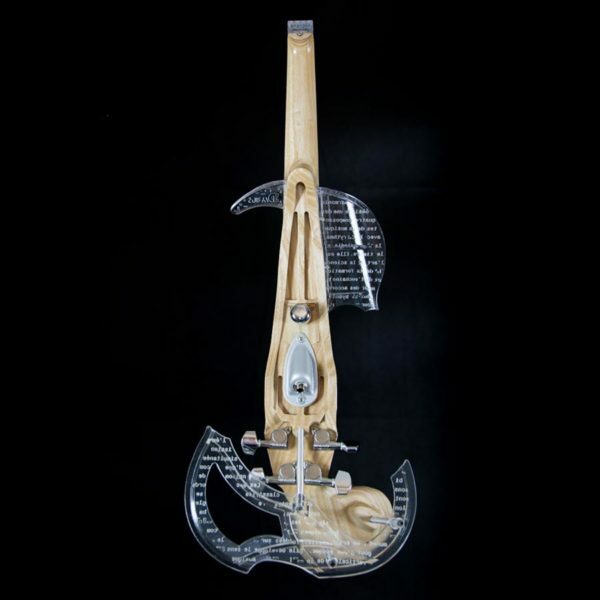 She chose to engrave keywords representing her music and her lifestyle. 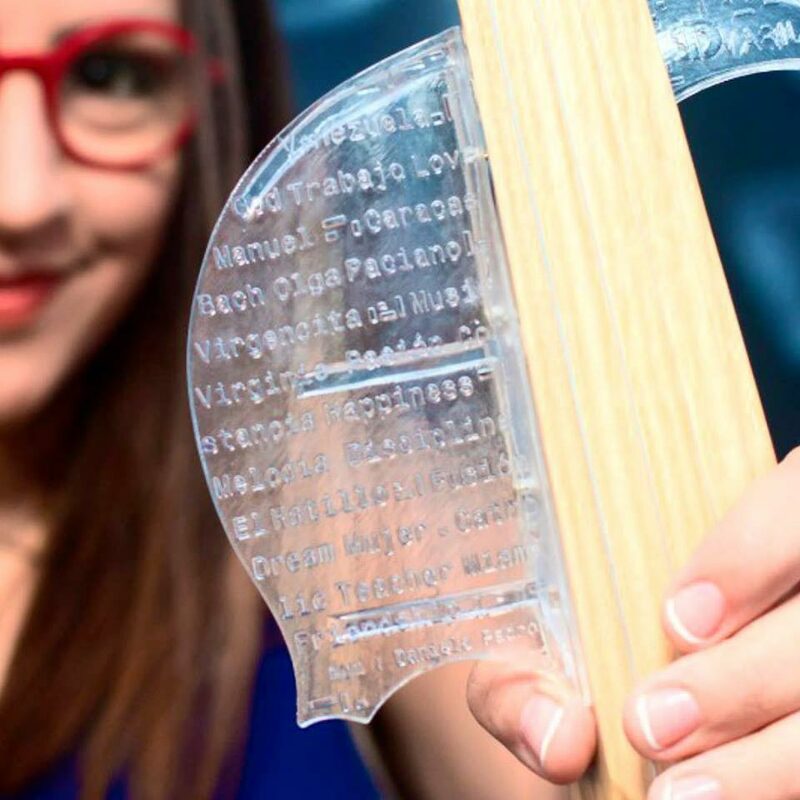 Her name is also engraved at the bottom of the 3D-printed piece. 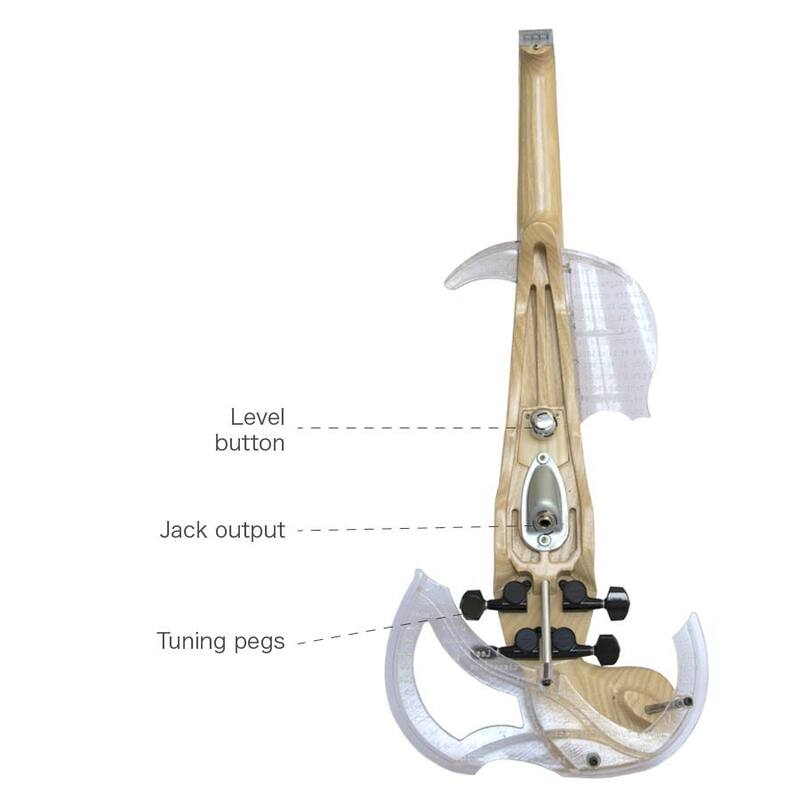 You can also customize the color of tuning pegs, jack output and volume control. To know more, please read the ‘Customization’ tab. 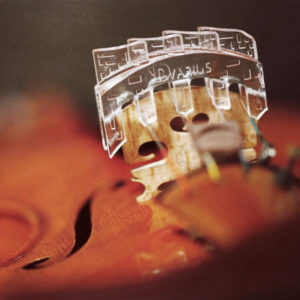 Our Electric Violins are Made In France. 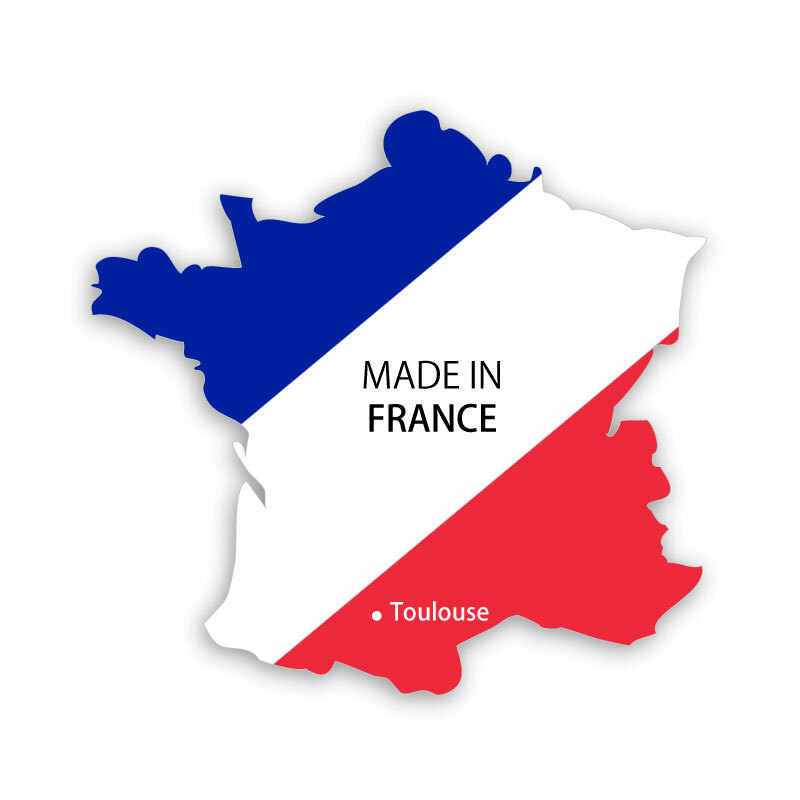 All our electric violins are made and assembled in our city of Toulouse (Southern France). We can keep an eye every day on our production and control the quality of each electric violin. 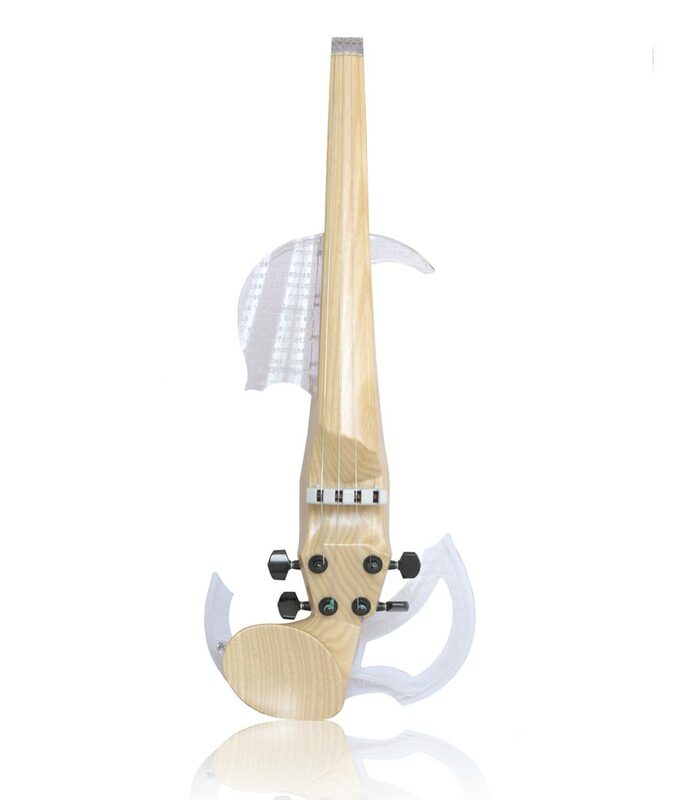 Our electric violins, including the Equinox, are two-year guarantee. 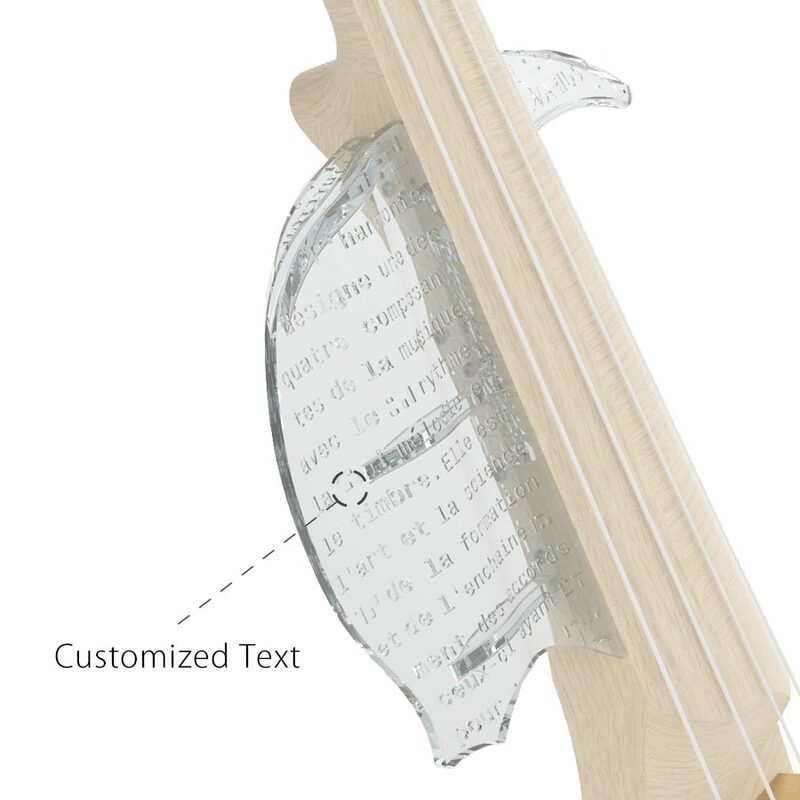 Select your favorite text or write a personal message which will be engraved on the left violin part. Your text will replace the French original one. The number of letters is limited to 210 letters max including spaces. Colors available: chrome-plated or black. What's coming with the EQUINOX?